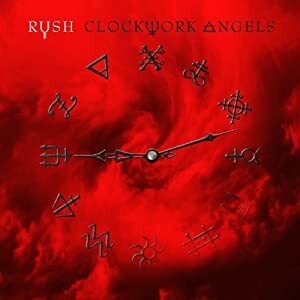 So Rush just released their 20th studio album entitled Clockwork Angels. 60+ minutes of music from three guys who have been together for over 30 years and are each pushing the 60 year-old mark. If that weren’t incredible enough, it’s actually a really good album, but then again, I am a Rush fan. What that means is that I will certainly give them a chance when they release new material. They are typically treading in some new territory, and as fans we’ve become accustomed to their desire to change course musically over the years. That’s probably what has kept them thriving and relevant since 1974. What this also means is that it might take some time to get used to their new direction. Mention Rush to 99% of the population, and they will immediately think of the song, “Tom Sawyer.” Even if they liked that song, they may not have liked other things they heard by the band because it wasn’t exactly like (or very close to) the style of Tom Sawyer. The same is true of this new album, but I realized a few things as I listened to it multiple times (that WILL lead to some leadership insight, I promise!). Rush music challenges the listener. They certainly don’t play what you are expecting. Unfamiliar chord changes, arrangements and melodies seem to be their norm, if that makes sense. Again, that might make it tough to sonically digest for some. What it does for the people who stick with it for a few listens is that it helps to expand their musical vocabulary, like listening to different points of view on a particular topic. Rush fans trust the band to make it worth their while. Rush has been around long enough to build up a pretty loyal fan base that will take the time to listen to and absorb the new music they create. One of the most often heard comments about a Rush album, especially this one, is that it gets better with each listen. Nuances of the music are discovered which makes you want to listen AGAIN to hear what ELSE might be going on that you missed the first 7 times. By this point you are very familiar with the music, and most likely, the oddness of the new direction is growing on you or it’s not. Thing is, you’ve already invested significant time… what’s one more listen to be sure? We all have people in our personal and professional lives that challenge us. Sometimes that challenge seems like a good thing that helps us grow, sometimes it’s just annoying. What we have to realize is that even the annoying challenges help us grow. Think about that employee who just seems to rub you the wrong way. Everything they say is like nails on a chalkboard, and you usually do what you can to avoid them. Well… what if you really gave them a chance and REALLY listened to them? What are they trying to tell you? What nuances of their personality have you missed because you dismissed their annoying persona from the get go? Like I am a fan of Rush, I think it is important for leaders to be a fan of people. Not crazy, paint your face kind of fans… well… maybe – why not? What shows your enthusiasm for your team more than your willingness to go out on a limb for them? What instills loyalty more than consistently delivering on your promise to be there for them? What creates more “I will do whatever it takes” type of attitudes than having complete trust in someone and their ability to lead you in the right direction? That’s what a fan sees. That’s what you want your employees to see in you. But like many things, it starts with you. Be a fan of theirs, they will be a fan of yours. About the author: Matt Heller attended his first Rush concert in 1984. He was 14 and had to buy and extra ticket so his Dad could come along as the chaperone. True story. I have never really thought about the connection between successful leadership and some of the fun things homeowners get to do. Until now. Attack problems at the root: Few people I know enjoy pulling weeds. Thing is, if you don’t rid your yard of the entire weed plant, it will just come back to haunt and taunt you. Preparation is king: When painting, there is a good amount of prep work that should happen before you even open the can. Taping, sanding, cleaning, etc., are all key activities that can make the actual painting process go faster and make the finished product last longer. Progress feels good: Whether its painting a wall or weeding the garden people like to see the positive outcome of their efforts. So here is that same list, but this time with a leadership spin. Attack problems at the root: Every situation is caused by something. If we observe an employee do something – anything – there is a reason behind it. We have to know what the right reason is before we can fix it. For example, let’s say we see an employee taking short cuts when cleaning a rest room. They could have been trained that way, they may be in a hurry, or possibly they don’t really agree with the way they were trained. If we don’t address the true reason specifically, we could end up confused, frustrated, and with a lot of dirty rest rooms. Preparation is king: As a leader, how you prepare for the season, a meeting or even a conversation can have a dramatic effect on the outcome. Taking even 5 minutes to think about the desired outcome of a conversation, rather than just the fact that you have to have it, will ultimately help you get to the right spot in the end. Many will say they don’t have the time to prepare correctly, or to the level that they would like. To that, I ask, where will you find the time necessary to fix what you didn’t have time to do correctly in the first place? Progress feels good: People love to be able to step back and say, “I did that”. Very few things are more motivating or pride inducing! Except maybe when someone they trust and respect pays them a compliment about their accomplishments. It takes just a few seconds to tell someone that you appreciate their efforts and results, but to them, it can make it all worthwhile. What projects have you recently tackled that could have a leadership lesson? Please leave a comment and let us know what you learned. About the author: Matt Heller had a peanut butter and jelly sandwich for lunch today. That’s Facebook worthy news, right?